The Short Version: Many Philadelphia-area singles are busy professionals who are tired of connecting with people who aren’t compatible with them – that’s if they’re connecting with anyone at all. 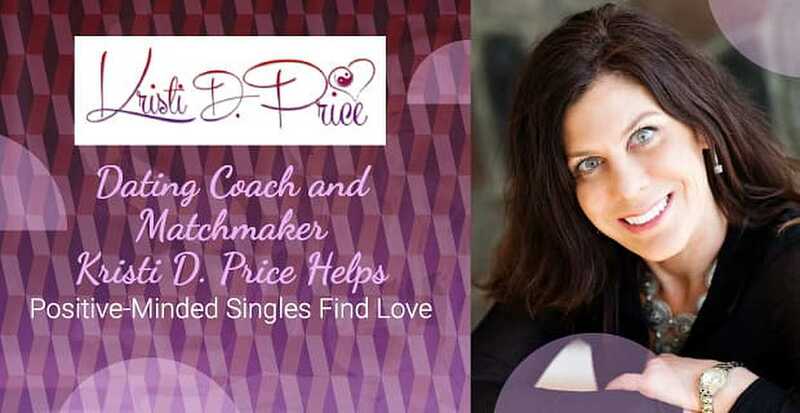 When those singles want to turn things around, they can visit Matchmaker and Dating Coach Kristi D. Price. She takes a holistic approach to happiness that helps men and women avoid toxic relationships, succeed in business, and live the life they love. In the future, she plans to branch out into speaking engagements, workshops, and retreats to help singles find their perfect mate. According to the Harris Poll Survey of American Happiness, just 1 in 3 Americans say they’re happy. That is a slight increase from surveys done in previous years, but an eye-opening number nonetheless. The study also showed that nearly 80% of people say they’re worried about their finances, and close to 50% of Americans worry about their health. Another 40% of survey respondents said they rarely engaged in hobbies and pastimes they enjoyed. No wonder it’s so hard to find someone to date. If a dater is unhappy, he or she is going to have trouble relating to others, much less be able to share the joys of life and engage in fun activities. That’s why Dating Coach and Matchmaker Kristi D. Price makes holistic happiness a significant part of the work she does with single men and women in the Philadelphia area. She takes the time to understand the individuals she works with on a deeper level, so she can make more successful matches. And it works. A whopping 92% of people she’s introduced have found long-term relationships — some have even married. Kristi helps her clients understand that happiness often needs to come before love, not the other way around. As a Wealth Manager, Certified Personal Trainer, Certified Life Coach, and even an Equestrian Trainer, Kristi said she’s been connecting and coaching her entire life. But she started to focus on romance after she went through a divorce. Back in the dating game, she jumped through all the hoops and created tools that worked for her. Kristi was so successful that she decided to share the lessons she has learned with others. Part of the work she does is to help women “unlearn” the bad advice they pick up from women’s magazines about how they should act. And she offers tools and tips for both men and women to understand their own needs better and find happiness worth sharing. Kristi works with clients ranging in age from 25 to 60 — but they all have something in common: They’re seeking happiness. Kristi shows people how to find inner happiness before connecting with a partner. Kristi works with 30 to 40 coaching clients a year, plus about 10 to 15 matchmaking clients. Kristi gives clients the confidence they need to have a lasting partnership. Kristi’s straightforward, no-nonsense approach appeals to people who are serious about change but positive about the future, she added. If she sets up a client on a date and it doesn’t work out, the client will receive honest and thoughtful feedback about what went well and what didn’t. That way, they can learn and improve in the future. A match may be perfect on paper, but sometimes the chemistry isn’t there. Along with matchmaking and coaching services, Kristi offers luxury travel vacations for solo travel or romantic getaways. Kristi said she’s planning to do more speaking engagements, workshops, and weekend retreats to teach others ways to create love in their lives and attract both the right people and opportunities. That law-of-attraction style methodology has helped her achieve much success with her clientele.